Vidyard gives you multiple ways to share your video content with your customers. 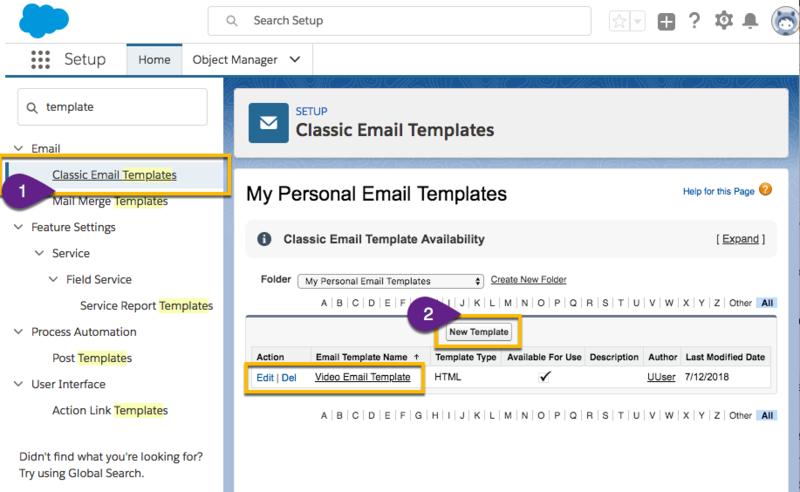 Using Salesforce email you can create email templates with video content embedded, helping enable your teams to share video assets with customers, prospects and partners. The best practice is to have the thumbnail image as well as a link to your video content for optimal click-through rates. When recipients click on the image thumbnail, they'll be directed to a Vidyard sharing page containing your video. 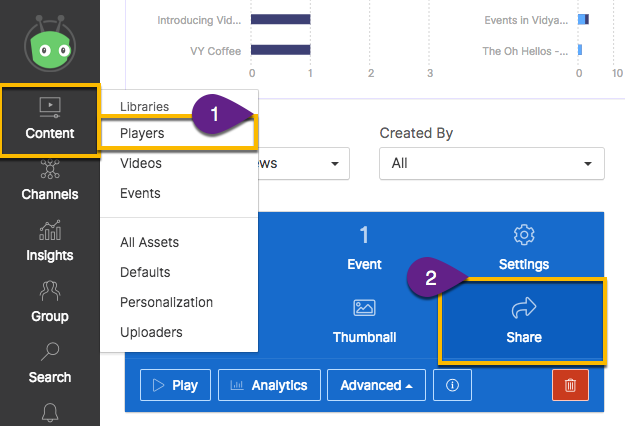 Most importantly, these viewers will have their viewing data tracked via Vidyard's analytics back into Salesforce and tied directly to their individual lead or contact record. You can track the individual viewing data of every recipient to which you send a templated email. 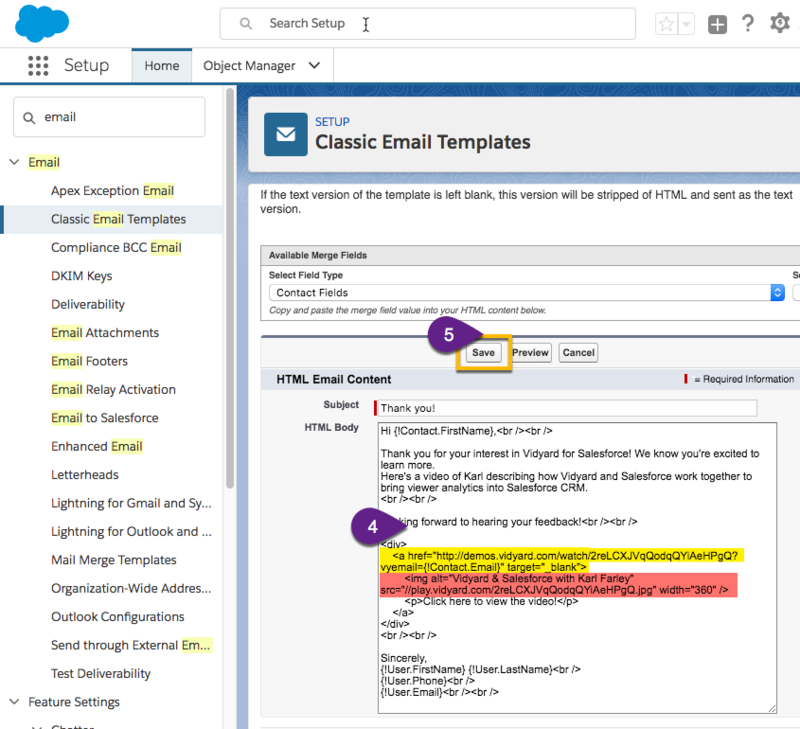 The player sharing page and thumbnail URL will allow you to embed a Vidyard player into a Salesforce email template.